Pricesearch makes it easy to monitor the prices of your competitors. It’s perfect for webshop owners and brand managers who want to save time. Always know your competitors’ prices. Determining sales prices shouldn’t be complicated. Unfortunately, in practice it often is. Hours of checking what the competition is asking for a product and manually amending prices. 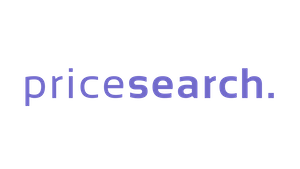 With Pricesearch that’s a thing of the past. Know your competitors’ prices immediately. Know your competitors’ stock position. Receive alerts if your competitors’ prices change. All prices are up-dated four times a day. Know exactly how much you can ask for your products. No training necessary thanks to a user-friendly interface. No technical integration or links; start immediately. Pricesearch reveals the prices all your competitors are charging so you can adjust your own prices accordingly. Fully automated, no fuss. Try it for free. If your question is not included send us a message. Pricesearch is an advanced tool for charting the prices of competitors and/or clients and thus gives you an insight into market prices. Our advanced dynamic pricing algorithm advises you, fully automatically, regarding the best pricing, taking profit maximisation into account. 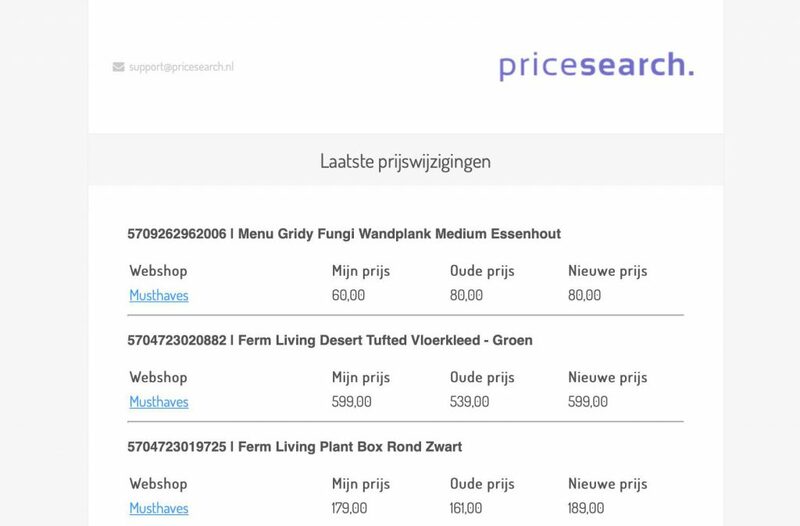 If you wish the standard API (an interactive link) can process the calculated prices in your webshop or ERP application in real-time. Does the trial period end automatically? You can use Pricesearch free of charge for 14 days. After this period your account will close down automatically. If after the trial period you are satisfied with Pricesearch you can very easily open a subscription (which can be cancelled on a monthly basis) via the option Subscription under My account. If you cancel your subscription we would be grateful if you told us why you have made an alternative choice so we can better tune our service and range to your requirements. Do you also index foreign websites? Yes. From Amazon to a webshop in India, we always find the right price. All we need from you is the internet address and Pricesearch will set to work for you immediately. Will I receive an invoice with VAT? Each month we will send you a clear invoice as a pdf file. The invoice will state all legally-required data including the VAT. Can I cancel my subscription each month? You may upgrade or downgrade your account at any moment. You can also cancel your subscription at any time. You have access to your Pricesearch account up to and including the date of your last payment. After this date you will not have access to the stored data. If your question is not included tell us. Send an e-mail with your question to support@pricesearch.nl.